Party MLAs met in Gandhinagar to decide the course of action for the upcoming general elections, state Congress in-charge and MP Rajiv Satav told reporters. With the Lok Sabha elections just months away, Gujarat Congress MLAs Tuesday went into a huddle to chalk out the party''s strategy and planned a series of events to drum up support, its leaders said. 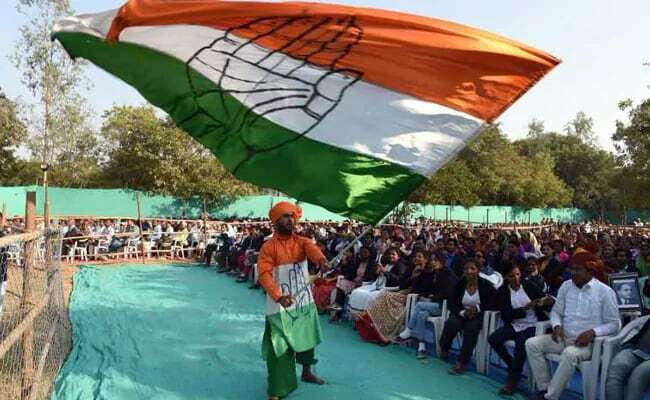 State Congress chief Amit Chavda said, "The party decided to organise programmes like Jan Vedana Yatra, Khat Parishad, Lok Charcha, and Parivartan Sankalp in the coming days to mobilise support ahead of the general elections." Most of the 76 Congress MLAs were present at the meeting held at the circuit house, where talks were held on the party's strategy for the upcoming budget session of the Assembly, he added. Party's leader of opposition Paresh Dhanani was also present at the meeting. Each Congress MLA has been asked to adopt two Assembly constituencies to prepare for the election. "We are going to focus on all 26 Lok Sabla seats. We are confident of winning all these seats. The MLAs presented their reports today on the (party's position in) two Assembly constituencies (adopted by each of them), and the report is encouraging," Mr Satav said. According to Mr Chavda, the party will organise Khat Parishad (meetings in rural parts) and mohalla meetings across the state in the next one week. "After these two events, we will hold Jan Akrosh Rally to raise the issues of farmers, unemployment, corruption. Jan Vedana and Lok Darbar programmes will be organised ward-wise and in all zilla parishads in the coming days," he said. The BJP government has failed in fulfilling the expectations of all sections of the society, he said. "People are angry as the BJP government has failed on all the fronts, including education, employment and healthcare," he said. Alpesh Thakor was among the Congress MLAS who did not attend the meeting.